Farm-to-table restaurants dot the pastureland and coastal communities of Prince Edward Island. 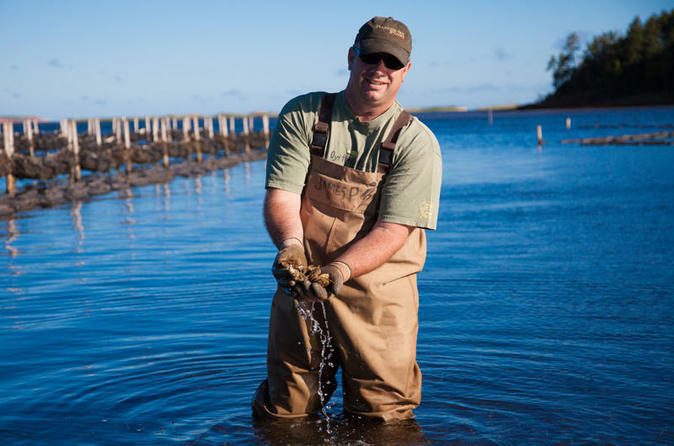 On this 5-hour culinary tour from Charlottetown of the North Shore, get to know the small, family-run producers who practice sustainable, organic farming for seafood and vegetables. An in-the-know foodie-guide takes you to six or seven venues to sample local delicacies, such as oysters, mussels, gouda cheese, and wood-oven-fired pizzas. Leave with new insight into this rapidly developing culinary scene. Discover incredible food from local producers on this 5-hour culinary bus tour of the Prince Edward Island's North Shore. More than a third of Canadian potatoes are produced here, and the island is well-known for its fresh Atlantic lobster. On this tour, you’ll go deeper into the island’s evolving culinary scene. Board your transport at the Charlottetown Visitor Information Centre and travel to the North Shore. Your guide, a passionate foodie with extensive knowledge of the area, takes you to six or seven different places, including fisheries, small restaurants, a dairy farm, and a bakery. Along the way, local chefs and restaurant owners share their experiences with farm-to-table cuisine and practicing sustainable, organic farming for seafood and vegetables. Their menus feature local mussels, cheese, and craft beers that cater to the increasing demand for high-quality ingredients that are good for both customers and the environment. Sample gourmet wares like oysters, mussels, gouda cheese, and wood-oven-fired pizzas, before you’re dropped off back at the departure point.